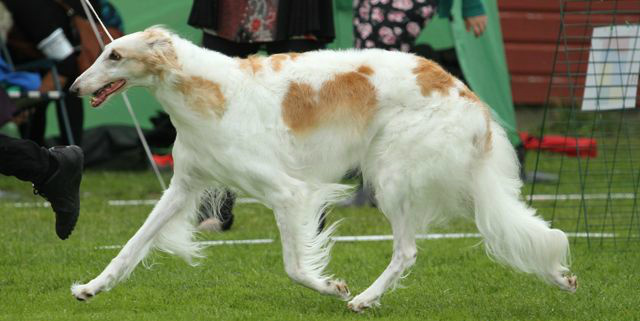 05.12. 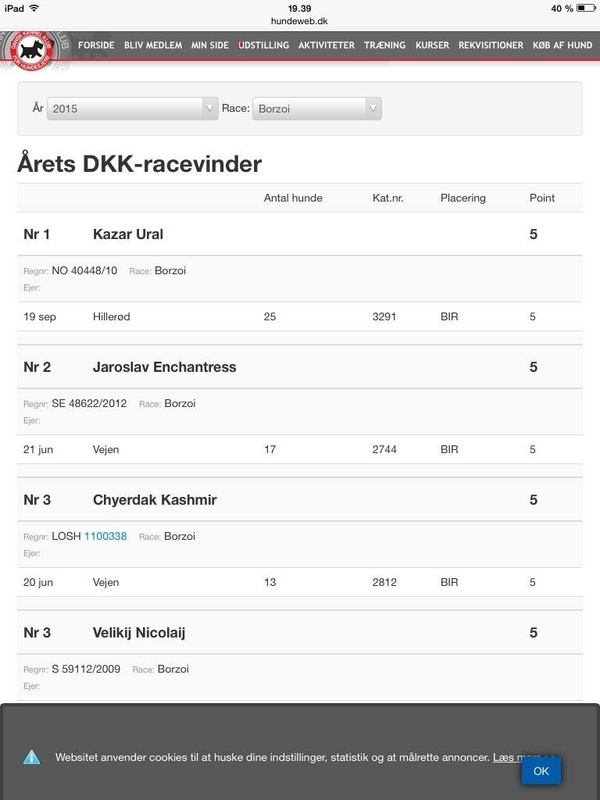 Kongsberg (N). 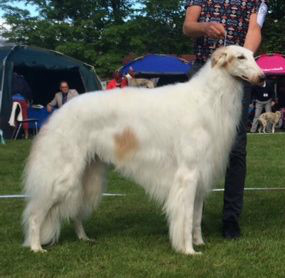 At a national show today, our Laura's beautiful son Steppdance Sheridan went Best Male and BOS puppy. 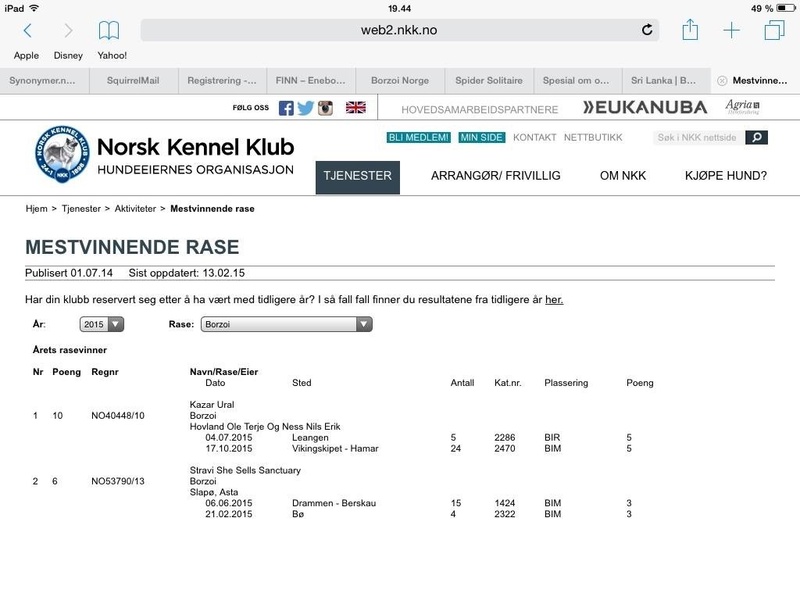 Owner: Steppdance knls, Susanne Strøm. BB-2: Steppdance Angelica, O: Steppdance and Turid Berger. 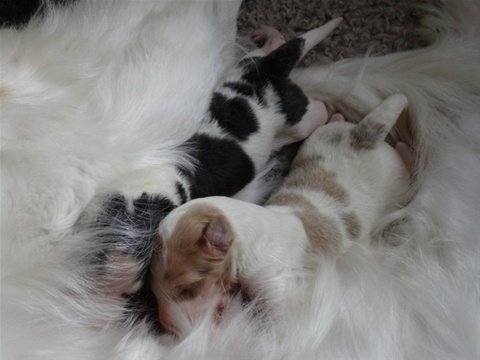 A total of 9 puppies attended. 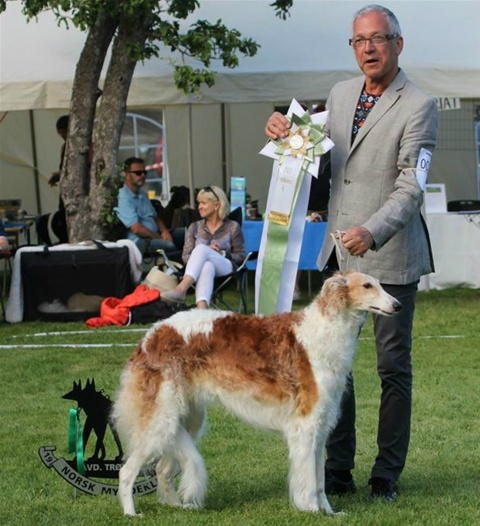 Ch Kazar Ural; Mostwinning Borzoi 2015, Kennel Club Systems in both Norway and Denmark! 05.10 More great news from Ireland! 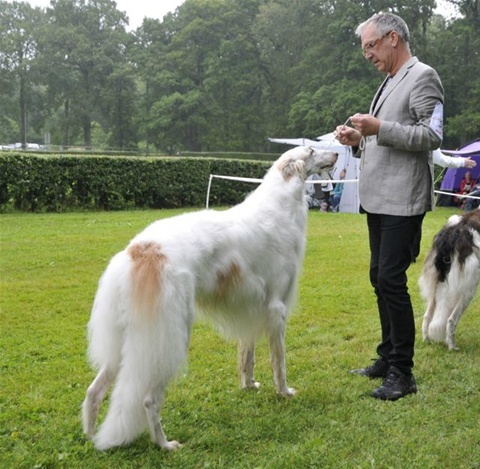 Kazar Utkin was shown at two International IKC shows last weekend and took home CAC, CACIB and Best of Breed BOTH DAYS! 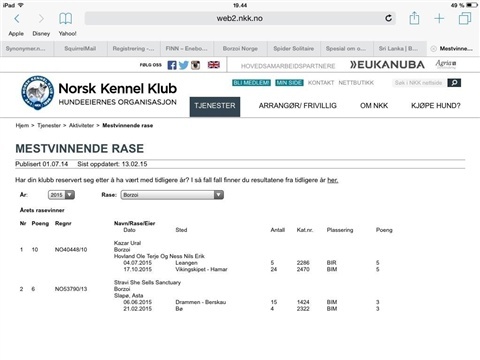 A big Thank You to Walter Albert for handling Utkin to these wonderful results! 20.09. Hillerød (DK): BOB, Copenhagen Winner-15, Best in Group-2 in Hillerød today under judge Arne Foss. BOS was his Finnish daugther CIB, Multi Ch Tarijemiran Frederiza! Heather Allen. Handle: Walter Albert. 04.09. Great day at The Norwegian Borzoi Commity's Show on EDS at Lillestrøm! 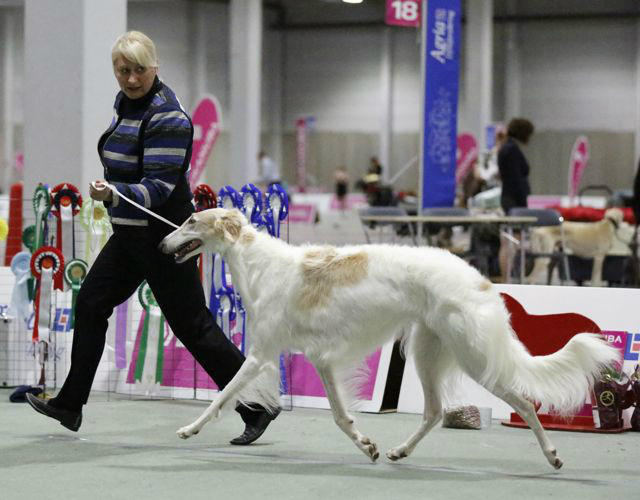 CIB, NO, SE, Dk CH Kazar Slava went Best In Show! 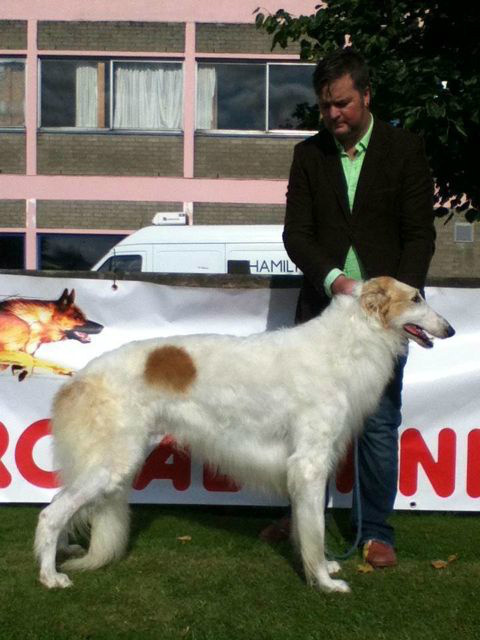 BB-2 and New Champion: Kazar Volga. BM-2: CIB, No, SE, DK CH Kazar Ural. 29.08. 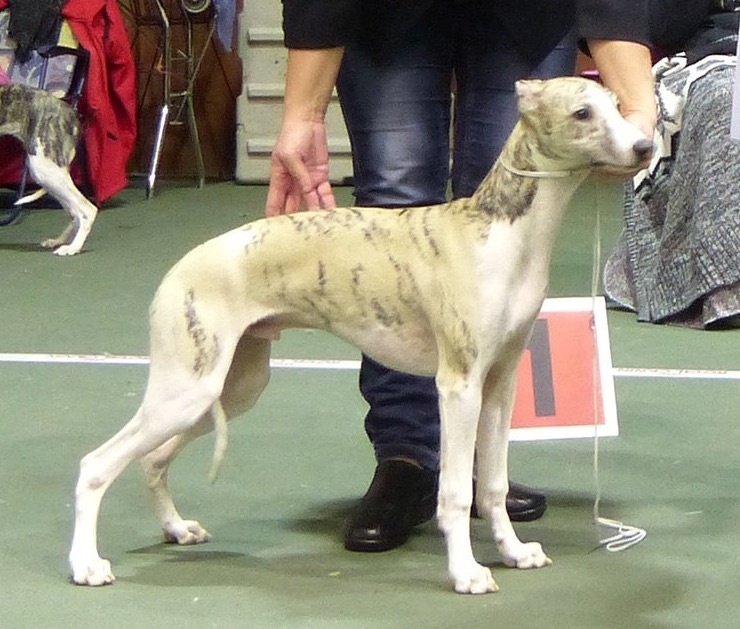 Our Italian Greyhound Dogcastle´s Aurora (Maud) took her second CAC from junior class and BOB under Myrna Schibolett. 05.07 BOB: CIB Multi ch, NW-13 Kazar Ural (owner Kazar). BOS, CACIB: NO, DK ch Kazar Slava (owner Kazar/Mpagi/Rolfsen). 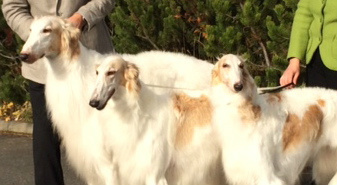 Unfortunately we did not compete at the finals. 04.07. 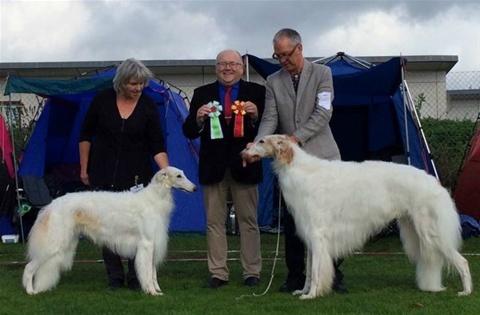 BEST IN SHOW at the Norwegian Sighthound Club, Mid Norway: CIB Multi ch, NW-13 Kazar Ural (owner Kazar) Judge: Knut Blütecher. BEST IN SHOW Veteran-4, BB-2, CAC: Kazar Qasida (11yrs) (owner: Kristjana Kristiansen) Judges: K.Blütecher/H. 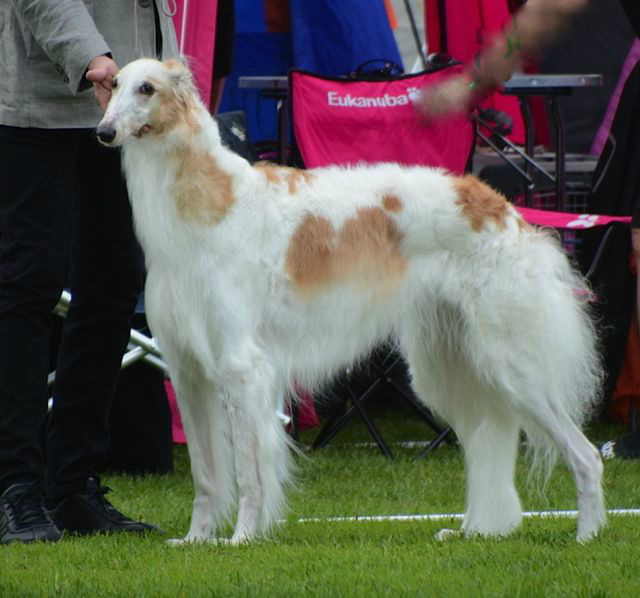 Härling. 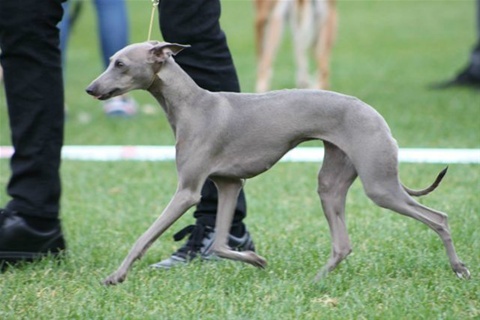 Italian Greyhound, Dogcastle´s Aurora: BB-2 CAC (from junior cl.) 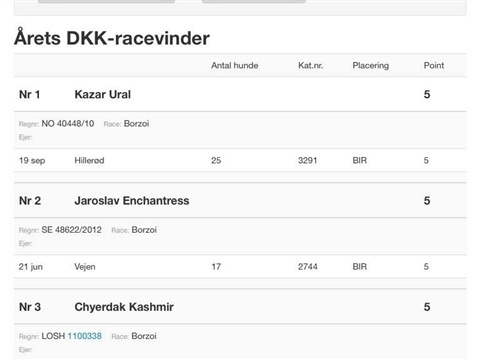 (owner: Kazar) Judge: K.